Ways to make your ThankYouPro cards more creative and meaningful. You can use any photo or jpeg image on your phone to create the cover of a card. You can take photos with your iPhone camera or download images from your computer. Before downloading, use any photo management software to size the photo to 5.5” wide X 4.25” high (either 396pts w x 306pts h or 825pts w x 637pts h). Download jpeg images or photos from your computer by synching your iPhone photos in iTunes. Another trick is to email the image to yourself. Open it on your phone, tap and hold the image to save it. Your image will be saved under My Designs. You can use it at any time. You can use the Logo Box and Signature Box to create special messages, backgrounds and totally handwritten cards in order to make your message special and meaningful. Both the Logo Box and Signature Box can be pinch- zoomed larger or smaller. Simply drag the box to another position or 2-finger pinch to resize the image. The Logo box can be moved and zoomed so you can use the contents to fill the entire interior. Tapping the Logo Box allows you to access any photo or image loaded on your iPhone. • Use it to put your company Logo in the corner of the card. • Move the Logo box to any location on the card. • Create a background or “wallpaper” effect by choosing an image with the Logo function, centering the Logo Box and zooming out to fill the interior of the card. Your text and Signature will overlay the image. The Signature Box works very much like the Logo Box – you can move and zoom it to create special effects. Normally it is used to capture your signature from the phone itself. Anything you “write” into the Signature Box can be positioned and sized on the card interior. The Signature Box will overlay the Logo and text. 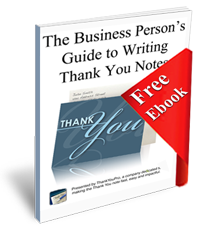 • Handwrite the entire message in the Signature Box, then move and zoom to fill the interior. The example here uses both the Logo box to create a “wallpaper” effect and the entire message was written into the Signature Box. Plug your iPhone into your computer and start iTunes. The Photo Menu will offer you the opportunity to select folders that you want to Synch. Click on SYNCH in the bottom right of the screen.